January 15, 2007 - Discraft announced today a new, highly flexible version of its ESP plastic dubbed "FLX," which will initially be available on Surge drivers and Buzzz midrange models. Made from a highly flexible version of ESP plastic, the added 'give' makes them easier to grip for more controlled releases, especially in cold or wet conditions. "These discs aren't floppy or spongy in any way, but they will flex much more under pressure, then snap back into shape with excellent memory," said Discraft president and disc designer Jim Kenner. 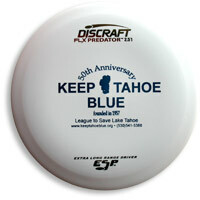 Player reviews of FLX plastic are available now at DiscGolfTV.com. 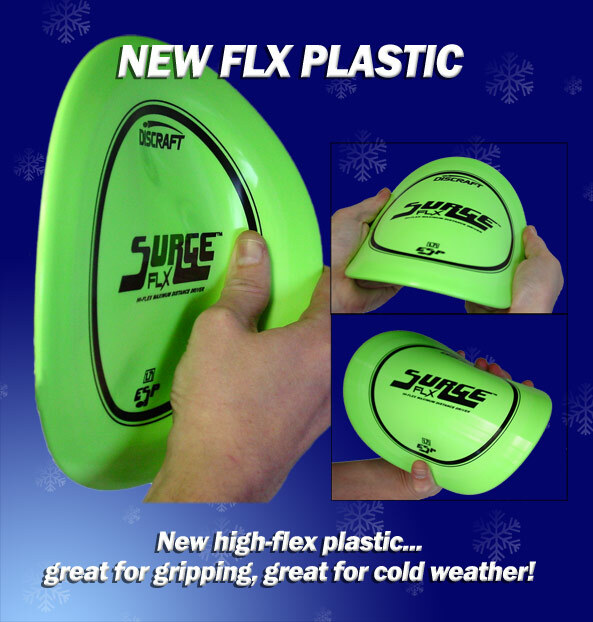 FLX Surge and FLX Buzzz are available now to clubs and tournaments, with a minimum order of 25 pieces (mix and match okay). Release to general retail is scheduled for March 21, 2007.